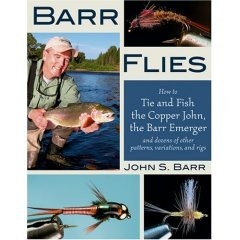 John Barr, creator of the Copper John nymph and many other flies has put pen to paper, or probably more correctly, keyboard to hard disk, and produced a book. ‘Barr Flies’ is quite simply a wonderful book that should grace the bookshelves of all fly-tyers. 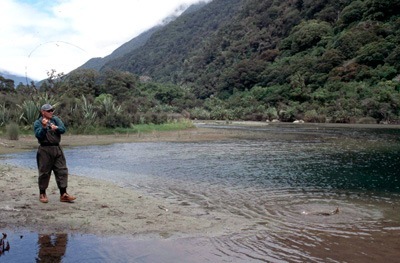 John outlines clearly and succinctly the process and thinking that lead to the creation of several of his very successful fly patterns, and gives a very clear outline of how he fishes them. 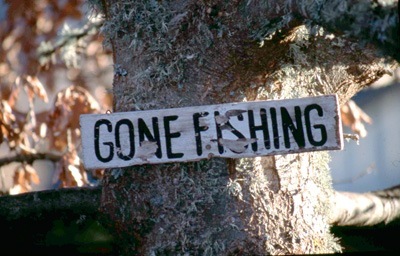 This is presented without the flowery, pseudo mysticism that pervades too many American fly-fishing books. On top of the good clear writing, are truly excellent tutorials on tying John Barr’s flies, written and photographed by Charlie Craven, no slouch as a fly-tyer and fly fisherman himself. In my view these tutorials and photographs have set a new bench-mark in fly-tying instruction. Clear, concise and informative. The only niggle I have is that the few drawings in the book, presumably drawn by John Barr because they are not attributed, are awful – stick to designing flies John! Fortunately this does not detract too much from the overall impact of this fine book. 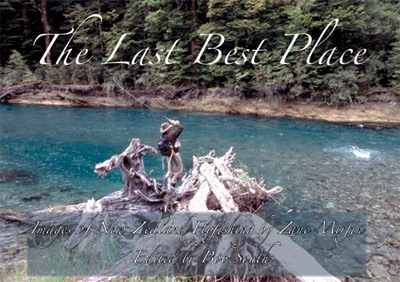 If you are into fly-tying get this book.